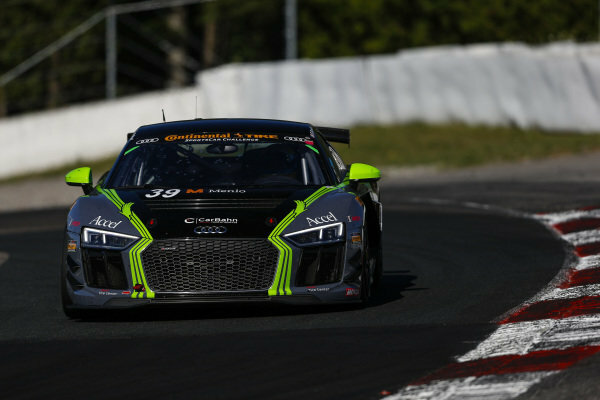 Canadian Tire Motorsport Park, CTMP formerly known as Mosport was the midway point in the 10 race IMSA Continental Tire Sportscar Challenge season, and the 5th race of the year for Peregrine Racing with Carbahn Motorsport. 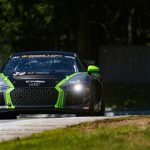 Drivers Jeff Westphal and Tyler McQuarrie took to the helm of the #39 Audi R8 GT4 LMS the weekend following 4th of July. 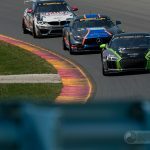 The team and Drivers, eager to bounce back from some bad luck that kept them off the podium at Watkins Glen (round 4) took to the circuit and checked all the boxes in terms of prep and execution leading up to the event. During the race, their diligence continued and they had great pace in the 2hr sprint race. Unfortunately a series controlled rule for fuel quantity per brand of car, and fuel flow speed regulation would decide the #39’s fate, as they continued to loose over 10 seconds in the pit lane due to the Audi taking longer time to fill a similar sized gas tank as well as needed to stop twice to make it to the end of the race. The drivers fought hard every lap, battling their way back up to a 6th position after an extra pit stop, but the result feels hollow in terms of the effort that was put forth. © 2017 JEFF WESTPHAL RACING, LLC. ALL RIGHTS RESERVED.